TECNO CAMON iClick 2 VS TECNO CAMON iClick: Will You Upgrade? Home Comparison TECNO CAMON iClick 2 VS TECNO CAMON iClick: Will You Upgrade? 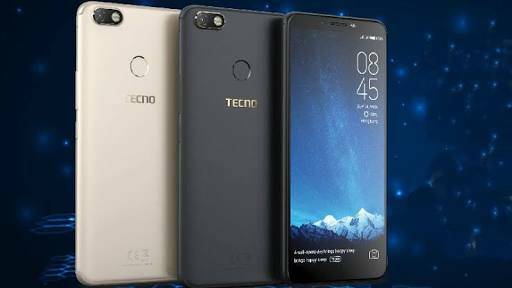 TECNO has launched the successor of the newly TECNO CAMON iClick. The TECNO CAMON iClick 2 comes with a notch on the front which has been the latest trend and the smartphone looks more beautiful than it’s predecessor. They are both launched in 2018 and they fall under budget phones you can buy without paying through your nose. We will be comparing the TECNO CAMON iClick with the TECNO CAMON iClick 2 smartphone. The TECNO CAMON iClick 2 and the iClick feature a smooth panel and they look neat as well. The CAMON iClick 2 comes with a notch on top housing the selfies camera and other sensors. While on the back, it has a dual camera set-up with an LED flash that looks similar to the iPhone XS. It has body dimensions of 153.7 x 74.5 x 8.5 mm and weight 158 gram. As for the TECNO CAMON iClick, it has a smooth panel that house a single camera with an LED flash and a fingerprint scanner. It measures 158.6 × 75.8 × 7.8mm in dimensions and weight 158 gram as well. The TECNO CAMON iClick 2 has a display screen size of 6.2 inches with IPS LCD capacitive touchscreen and a screen resolution of 720 x 1500 pixel. It has a 268 PPI density and the screen reaches up to 84.5% screen-to-body ratio, whereas the TECNO CAMON iClick has a similar screen size of 6 inches with a screen resolution of 720 x 1440 pixel and 293 PPI density. It has an IPS display panel with 74.7% screen-to-body ratio and a display protection as well just like it’s rival. The TECNO CAMON iClick 2 comes with impressive dual camera of 13 MP (f/2.0, AF) + 5 MP (depth sensor) with quad-LED flash on the back and s front camera of 24MP with Face ID for security. The main camera features dual-tone flash, HDR, panorama and it can shoots HD videos as well. 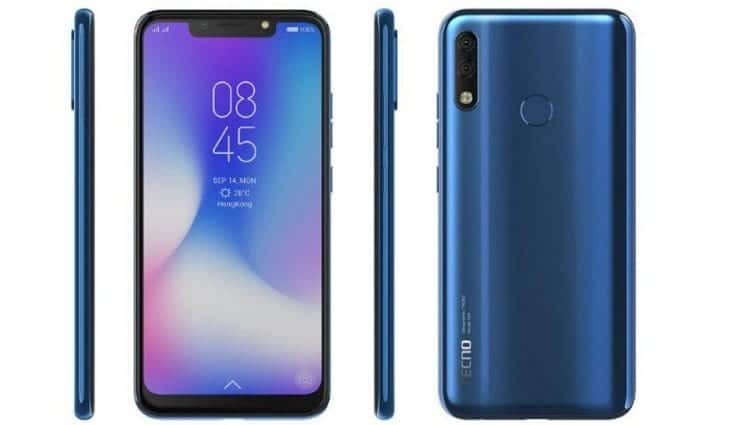 The TECNO CAMON iClick come with a single rear camera of 16MP with Geo-tagging, touch focus, face detection, HDR, panorama and a front facing camera of 20MP with an LED flash as well. On the camera department, the TECNO CAMON iClick 2 is winning with an extra lens on the back and it also supports Face ID on the front. The TECNO CAMON iClick 2 has a MediaTek MT6762 Helio P22 chipset with an octa-core processor that clocked at a speed of 2.0 GHz, while the TECNO CAMON iClick has a MediaTek MT6763 Helio P23 with an octa-core processor that clocked at a speed of 2.0 GHz. The CAMON iClick 2 has a PowerVR GE8320 graphics card, while the CAMON iClick has Mali-G71 MP2 GPU and they are both powered by Android 8.1 Oreo operating system. The TECNO CAMON iClick 2 and the TECNO CAMON iClick has a nonremovable battery capacity of 3750 mAh. On the price, the TECNO CAMON iClick 2 is selling at a price of $184, while the TECNO CAMON iClick will cost $162. The TECNO CAMON iClick 2 only boast of the notch and dual camera, but on the performance, the TECNO CAMON iClick will slightly outperform it and it will also hold battery longer than it’s rival. So if you already have the TECNO CAMON iClick, there is no need to upgrade since they have similar hardware and battery.